There are a number of techniques to sharpening, if is important to pick the right technique that works for you, and for the tools that you will be sharpening. How seriously should you take keeping your tools sharp? Ask around and you’ll get a range of opinions. For some woodworkers, sharpening is at best a necessary evil - to be taken up only when a tool will no longer successfully cut wood. For others, the practice of keeping every chisel, plane iron, gouge, saw blade and pencil in the shop in absolute razor-sharp condition carries an almost spiritual significance. Most, however, would take a more moderate position. They’d say - as so many professional woodworkers have - that reasonably-to-very sharp tools, and a system for keeping them that way, are prerequisites for enjoyable, accurate and safe work. This is because the tool will be doing what it was designed to do in the most efficient possible manner, with less force required by the user of the tool. This fact cannot be stated adamantly enough. When your tool becomes dull, stop using it and get it sharpened. Any individual that owns any type of tools knows the importance of keeping them maintained and in good working order. Most of the wood working tools for example are not cheap to buy. In addition, they will not do the best job they are designed for if the applicable ones are not kept sharp. I love sharpening things. You may think it strange and there is probably a host of others who agree with you. 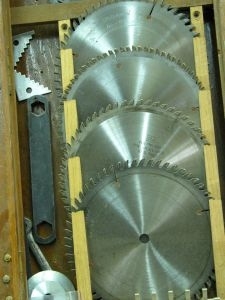 Many woodworkers dread sharpening and consider it onerous – a time consuming chore to be put off as long as possible. Only when a chisel is so dull its blunted edge resembles a hammer’s head are they forced to exhume their only oilstone from that seldom explored drawer in which it lies – entombed in a mass of greasy sawdust. I felt that way myself until I realized I had to make peace with necessity of sharpening. Only then could I improve as a woodworker. Although sharpening stones are the perfect way to keep your blades in top shape, choosing the most effective sharpening stone can be difficult - there are so many types! Choosing a sharpening stone is a matter of matching price and convenience with the amount of sharpening your blades require. Learning how to use a sharpening stone is an inexpensive way to keep your bladed tools working like new. Sharpening stones can be used to return a sharp edge to knives, chisels and the blades of wood planes. There are many types of sharpening blades available, including oil-stone, water stone, diamond and ceramic. Oil and water stones are made from natural or man-made materials and are lubricated by the liquid that matches their name. This is always an interesting discussion for me... one thing I know for sure is that sharp tools cut better. I can sharpen almost any tool freehand, and compared to the ease and quality of the job that I get on the big W it's not even close.... the big W simply holds the tool at the correct angle every time... and that can't be done freehand, no matter how good you are. One of the more satisfying hand tools to use is a cabinet scraper. Its satisfying to use because in many ways, allows me to do away with sanding, and at the same time produces a very precise and even finish. Its a tool that's indispensable when leveling a hardwood table top. The trick to using a cabinet scraper is its preparation. The scraper loses most of its edge after just 10 minutes of use, so burnishing (sharpening) the scraper is an essential part of it use. In fact, a new scraper doesn't even come with a usable edge out of the box, so I'll start with how to burnish the scraper to have a nice burr on it. Sharpening (grinding and honing) woodworking tools is very personal and can be accomplished in many ways--you will sharpen tools the way that works best for you. Tools are ground on machines and then honed on several types of stones. Grinding eliminates defects in the cutting edge by removing metal from the tool. Honing puts a razor sharp edge on the ground cutting edge of the tool. I grind - on a high-speed grinder with 2" wide silicon carbide wheels. For the lifespan of my typical tools, I grind/profile about 5% of the time. I sharpen - on these sanding disks against the sandpaper side. The sandpaper shown in these pictures is the regular aluminum oxide used to cut wood. I have since switched to silicon carbide sandpaper as it's designed to cut metal, stays cooler and it lasts longer. I sharpen maybe 40% of the time. I hone - on the backside and rims of these sanding disks. The black is where the metal is coming off of the tools as I hone. These sanding disks are profiled with straight sections, coves and beads of different sizes to match the woodturning tools I use on them. I hone the rest of the time.